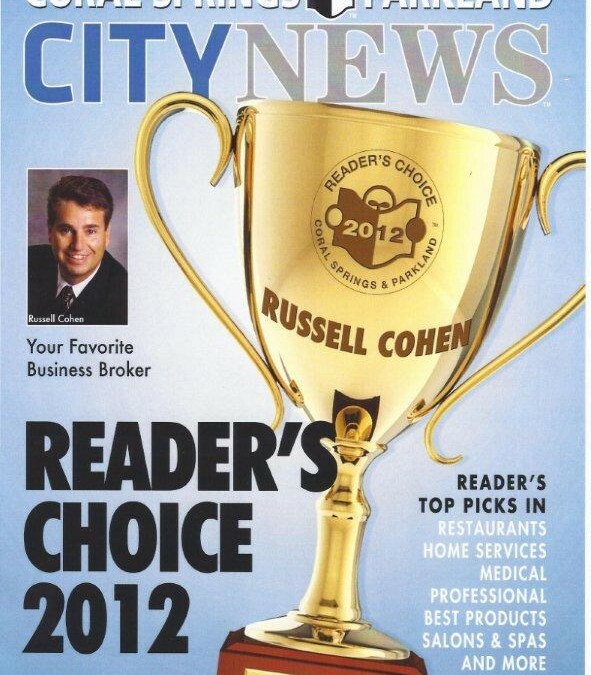 Russell Cohen was named 2012 Reader’s Choice as favorite business broker in the Coral Springs, Parkland City News. Buying or selling a business is part of the American dream. Let Russell Cohen, Licensed Real Estate Agent with Transworld Business Advisors, help you make this dream come true. He has brokered over 400 business transactions from small businesses to multi-million dollar mergers and acquisitions. Russell will maintain your confidence while marketing your business on 15 websites.